A Lapis Lazuli ring demonstrating pure elegance and style combining natural blue Lapis with sterling silver. 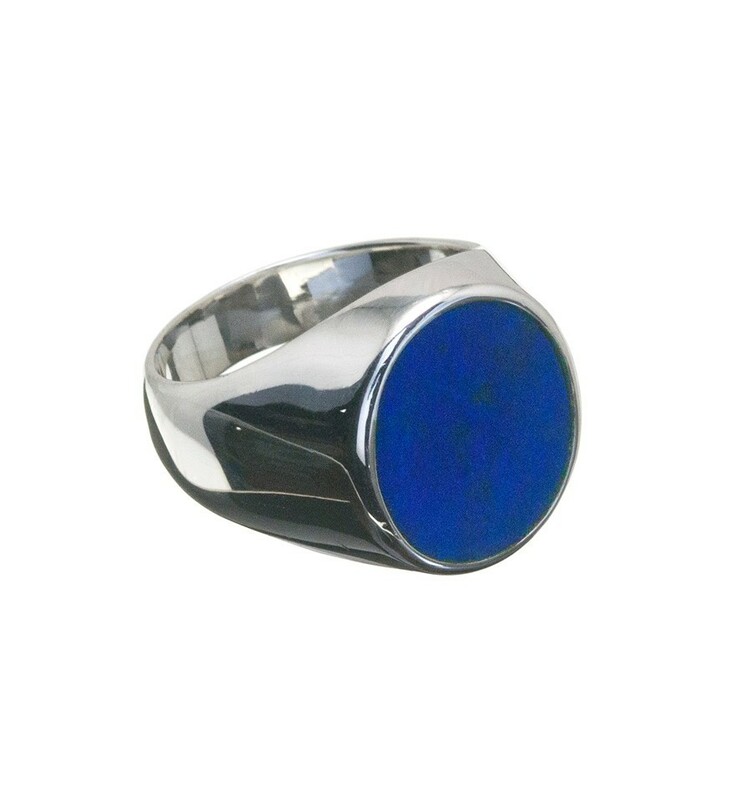 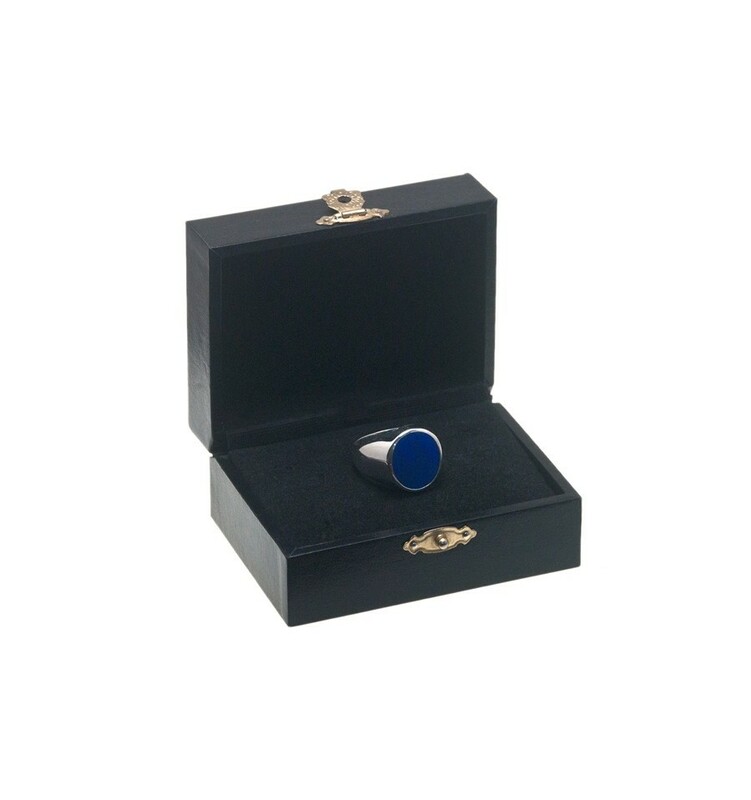 A beautiful oval of genuine Lapis Lazuli is mounted to a solid sterling silver chassis to create this elegant ring. 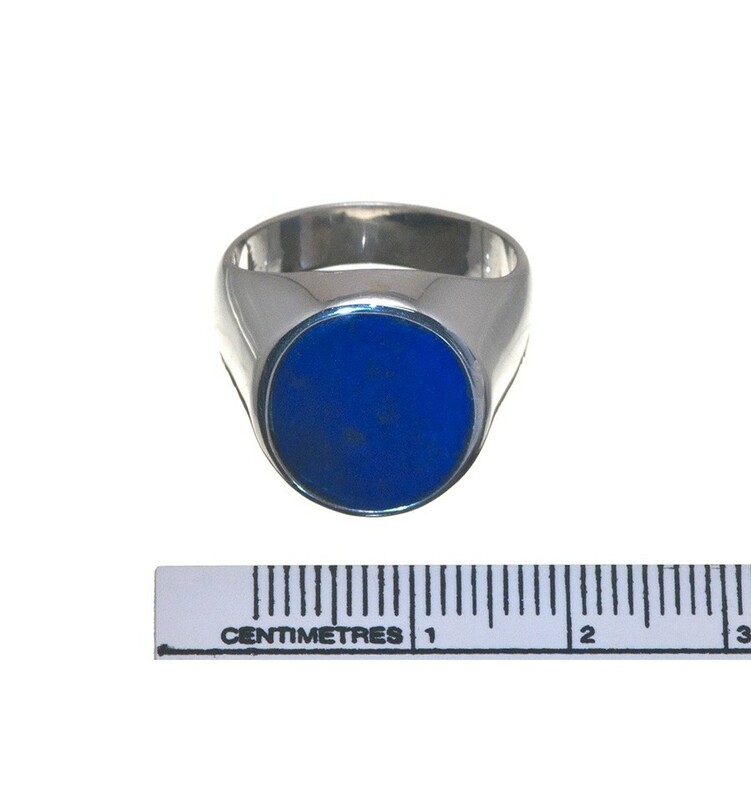 A smaller ing at 14x12mm it is suitable for a man or a woman to wear.